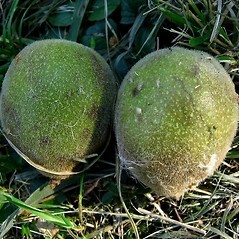 Japanese walnut, a native to Asia, is recorded as naturalized only in Massachusetts, Rhode Island, and West Virginia. 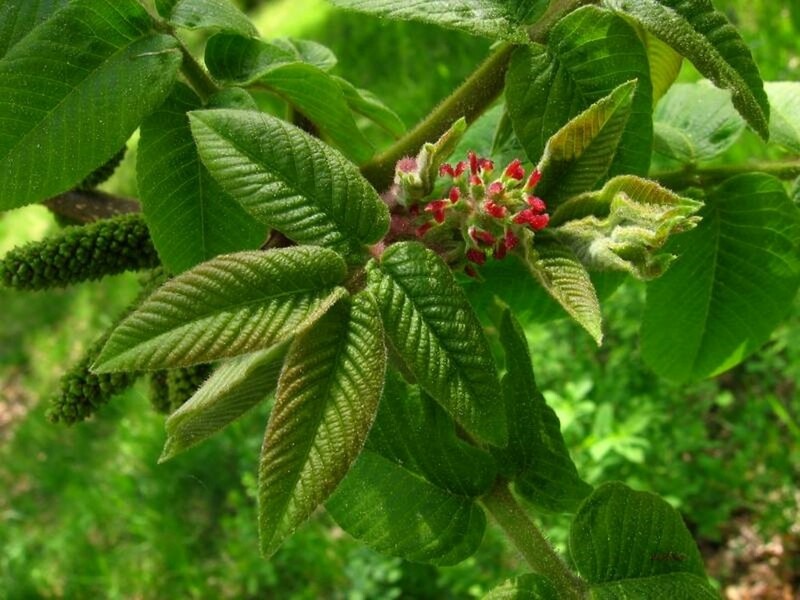 Its species name, "ailantifolia" suggests a resemblance of the leaves to Tree-of-Heaven (Ailanthus altissima), although a close comparison of these two says that would be a stretch. 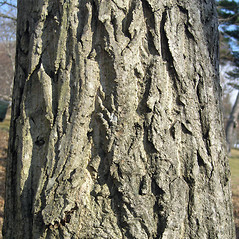 Juglans ailantifolia is resistent to canker fungus that has attacked native butternut (Juglans cinerea), and has become a popular street tree. 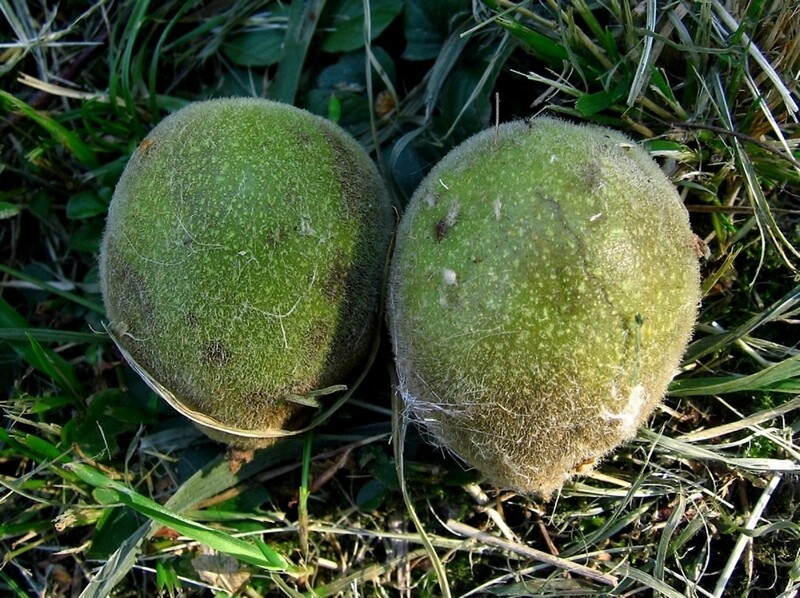 It can hybridize with butternut, and nurseries are trying several backcrosses to breed a more resistant butternut. 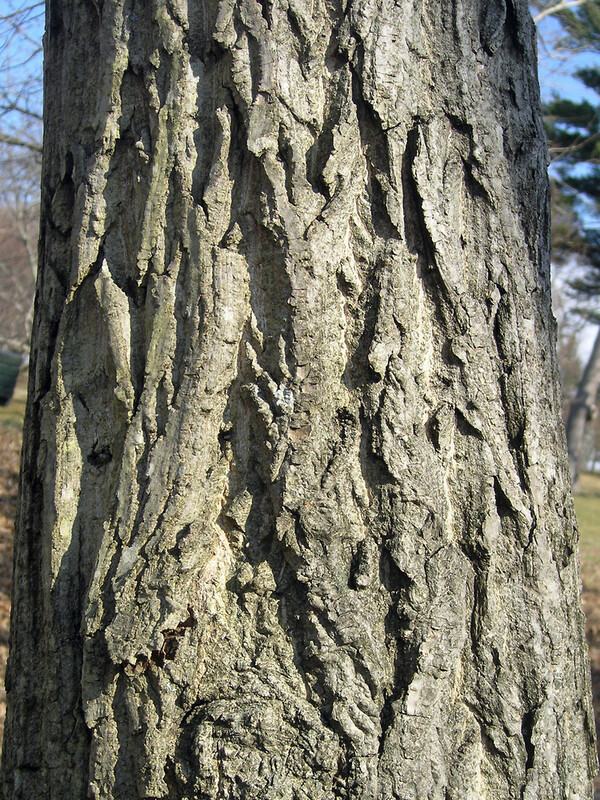 The wood of this species is used in making furniture. 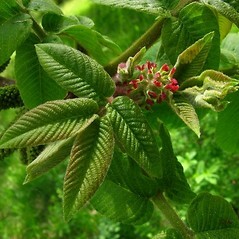 branchlets with dark brown pith, with relatively thick diaphragms that are nearly as broad as the chambers they alternate with, upper margin of leaf scar straight or scarcely notched, and exterior of endocarp strongly 6- to 8-ridged and with irregular, +/- sharp crests and projections (vs. J. ailantifolia, with branchlets with light brown pith, with thin diaphragms that are much narrower than the chambers they alternate with, upper margin of leaf scar with a conspicuous notch, and exterior of endocarp rugose). 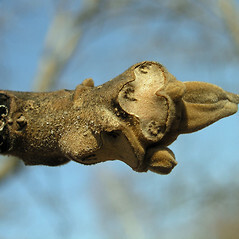 Japanese walnut. 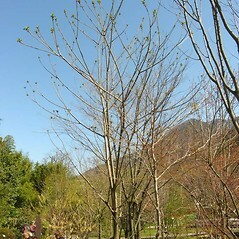 Juglans sieboldiana Maxim. • MA, RI. Roadsides, forest fragments, areas of habitation. This species was reported for ME by Magee and Ahles (1999), but the collections were taken from planted trees—7 Jul 1948, Bicknell s.n. ( MAINE!). 1×2. 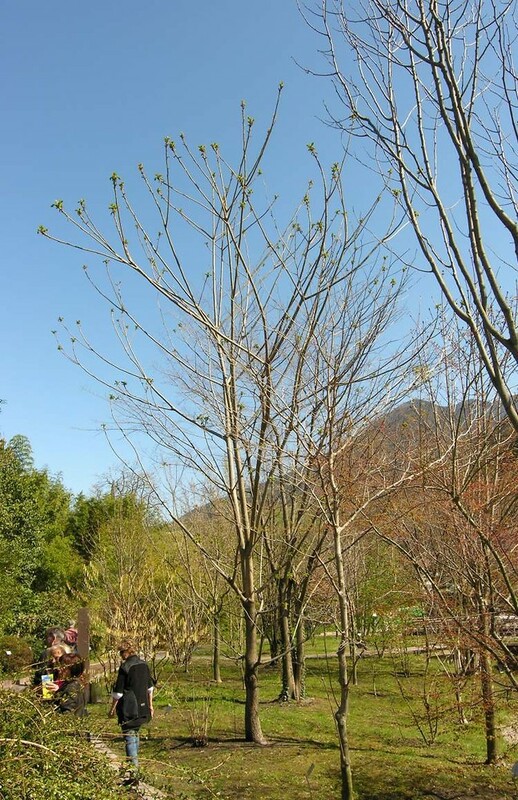 Juglans ailantifolia × Juglans cinerea → Juglans ×‌bixbyi Rehd. 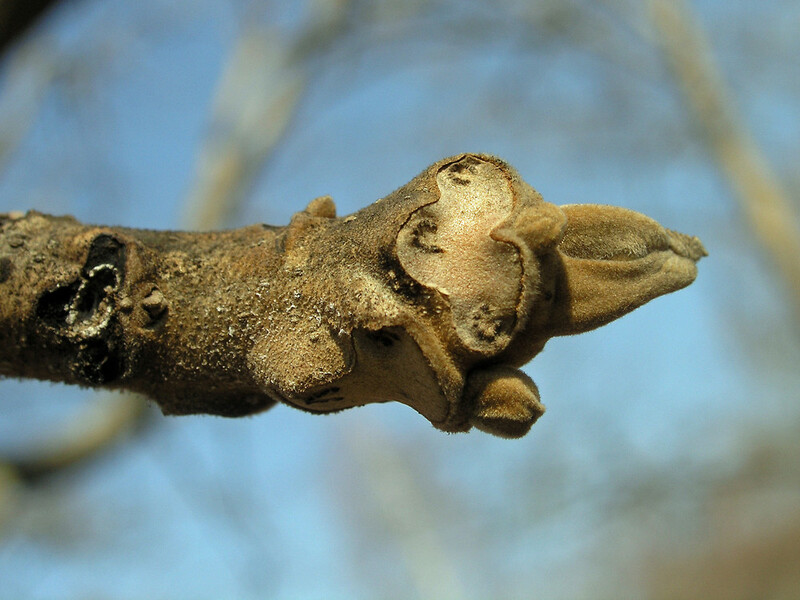 This infrequent walnut hybrid is known from ct, mA (and likely found in other states). 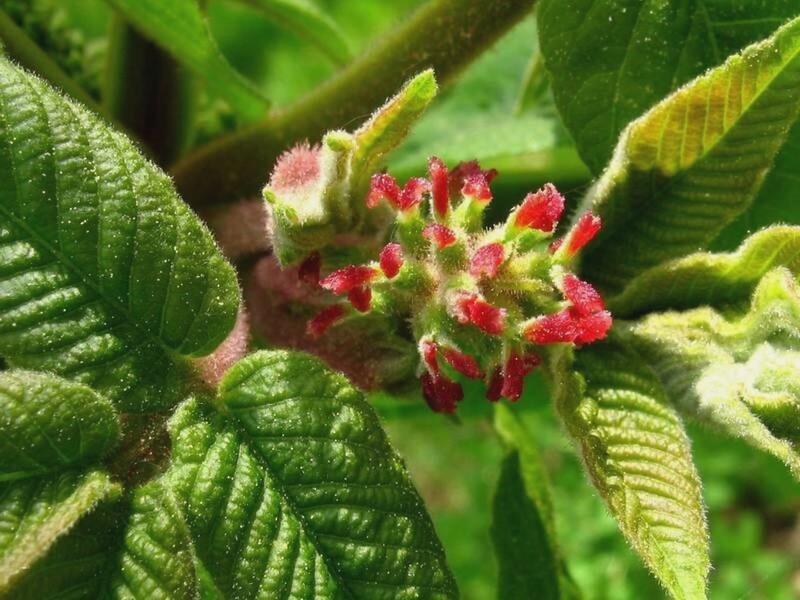 It is most common in the planted setting along streets and in yards, but naturalized populations have been observed. 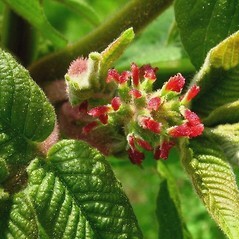 The hybrid is intermediate between its two parental species. This is perhaps best evidenced in the exterior of the endocarp (i.e., the shell), which is ridged, but not as prominently as in J. cinerea.